After years of serving the Amherst Park Family Dental community, we’re happy to say we’ll be treating you and your family at our sister practice Hilltop Dental Care. We’re excited about merging with Hilltop and think you will be too. 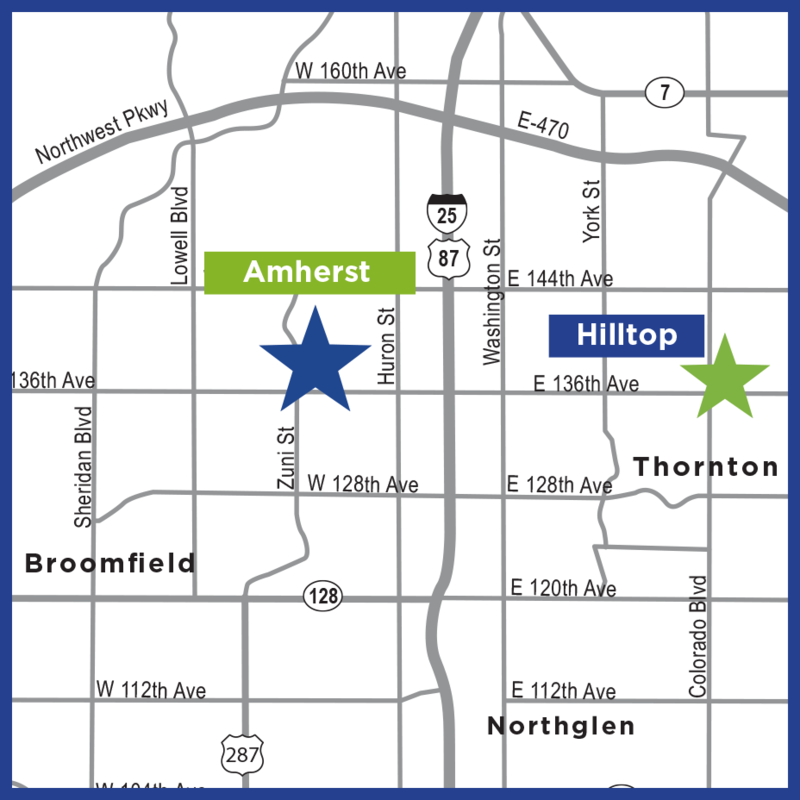 Hilltop Dental Care is conveniently located at Colorado Boulevard and E. 136th Avenue, in the King Soopers Plaza. We look forward to seeing you soon!